- This car's name comes from JG-7 and it's the last car (for real this time) of the collecion: YI-1, KC-3, WV-5, JG-7, ZS-9. - ZS does not stands for anything xD. 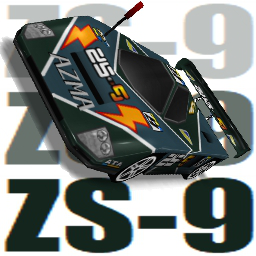 - This car is based on "mazda 787b", the colors are different, but the package also includes an alternative skin with the original orange and green colors. - I dedicate this car to fr3nchfrys3npai who asked me to take inspiration.